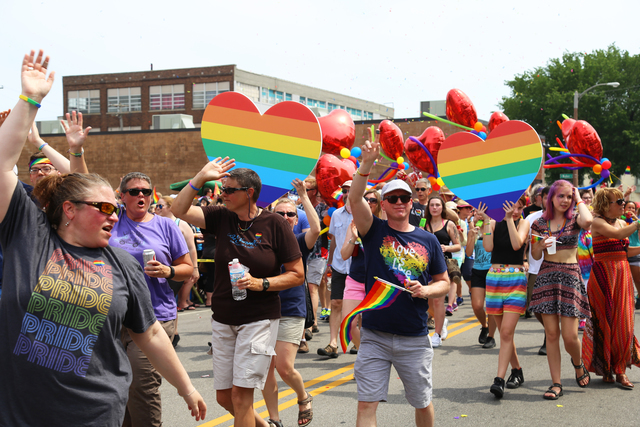 PrideFest is Wisconsin’s largest LGBT festival and the one that kicks off the “summer of festivals” on Milwaukee’s lakefront. Plenty of shows, activities, food, a marketplace, a parade, and entertainment including a variety of comedy and music acts. The 2019 Pridefest will run June 6th-9th at Maier Festival Park, a.k.a. the Summerfest Grounds. Acts are still being lined up, we’ll update as more acts are announced, check back here for details! The Summerfest Grounds & Henry Maier Festival Park can be reached via I-794 and U.S. 18, right where it ends at Lake Michigan. Highway 32 is within blocks; also coming close are I-43/94 and Highways 38, 57, 59, 145, and 175.